Sometimes visiting conventional tourist spots can get predictable. 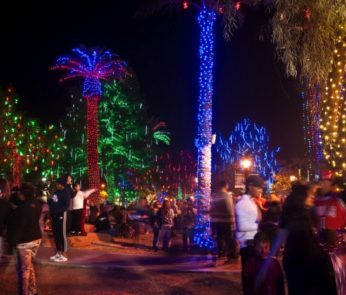 You have a general idea of what to expect during your visit; the sights you will see, what to expect at the visitor’s center and gift shop, and other typical tourist attractions. 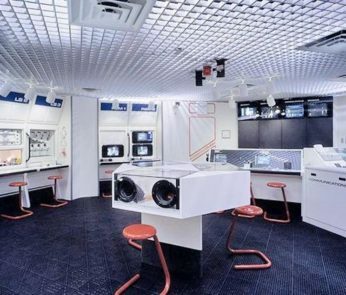 If you’re looking to visit someplace a little out of the ordinary (or, in some cases, outright strange), you will want to check out our list of suggestions for some of the most unusual spots you will find right here in Arizona. 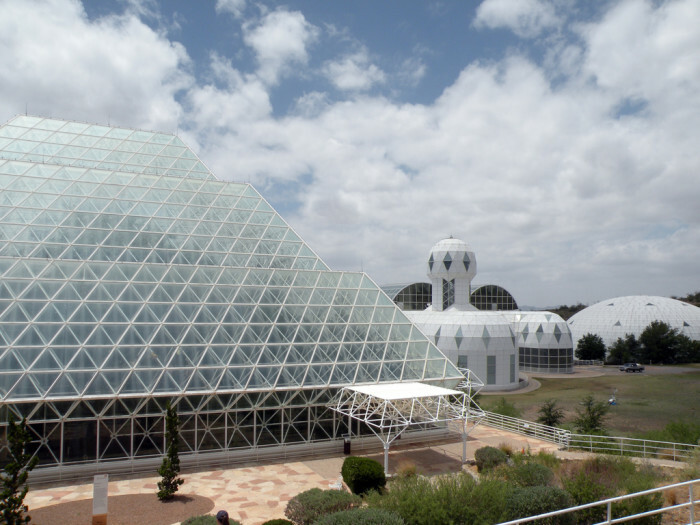 If building terrariums for fun or creating worlds in Minecraft compose your idea of a good time, then maybe a trip to the second largest biome may be right up your alley. Created in the 1980s as an experiment for living on a different planet, the initial trials had their fair share of failures. This included a growth of invasive species, contamination of the water supply, and scuffles from participants. 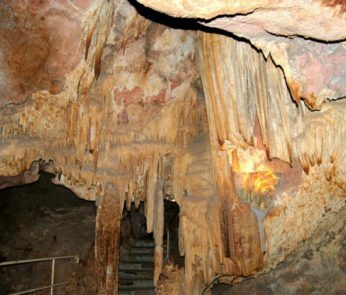 The site currently exists as a research facility and is open to the public. Ever wonder what happens to retired aircraft, both military and commercial? Not everything goes to the spyard! In some cases, they are placed in long term storage in boneyards where they will evaluated and restored for reuse or to be placed in a museum. 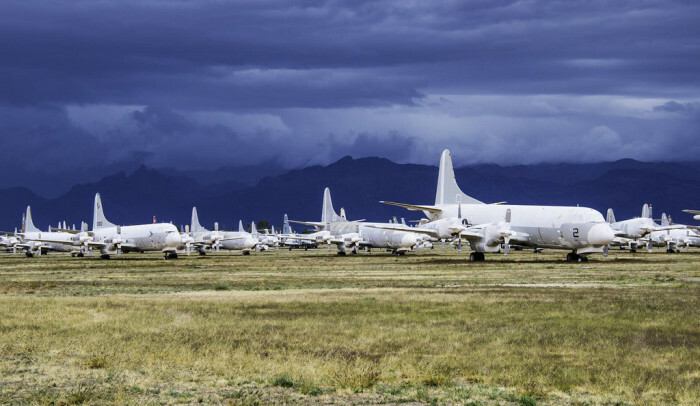 This one in Tucson is actually the largest known boneyard, so it’s definitely a sight to see! What would you do to see hoodoos? In case you didn’t know, hoodoos are tall, thin rock formations that look like the setting for some alien planet. (But really they’re just another example of just how strange the desert can look in these parts.) 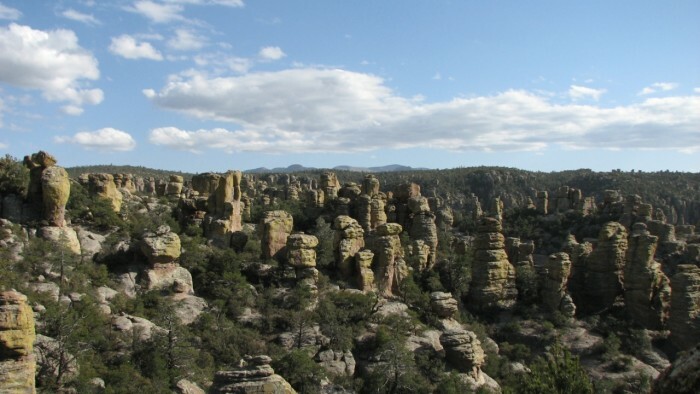 Chiricahua is an especially unique spot because it holds a large collection of hoodoos to create a breathtaking landscape. 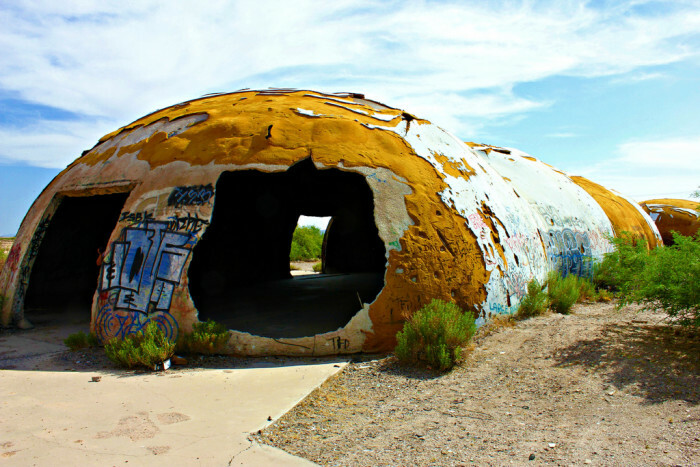 These seemingly random domes found in a less inhabited area of Casa Grande look pretty strange, and the urban legends that accompany them seem a bit outlandish as well. That is, until you learn a little more about the history behind the construction of the domes. Want to take a trip to the land of a favorite childhood cartoon? 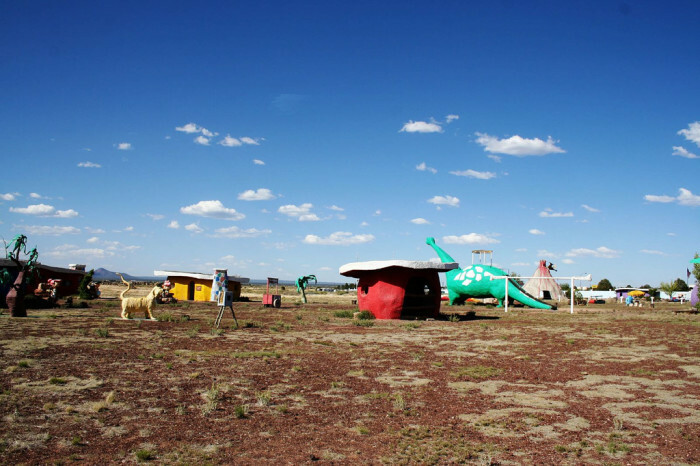 Bedrock City was built in the 1970s and has acted as a popular stop for Grand Canyon tourists ever since. Getting your photo in Fred’s foot-driven car is worth the stop! 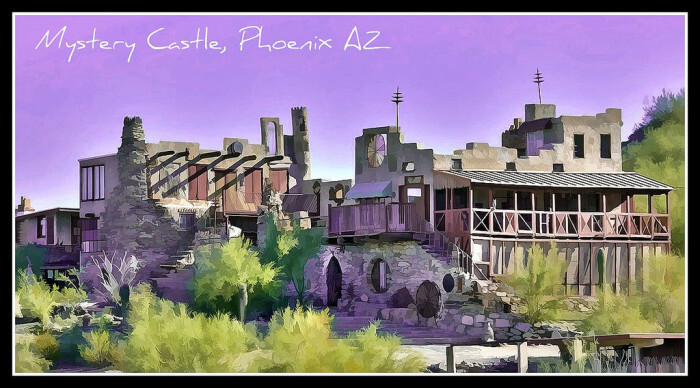 Made of an eclectic mix of materials and sitting at the base of South Mountain, Mystery Castle was a sick father’s gift to his family, whom he oddly abandoned in Seattle. 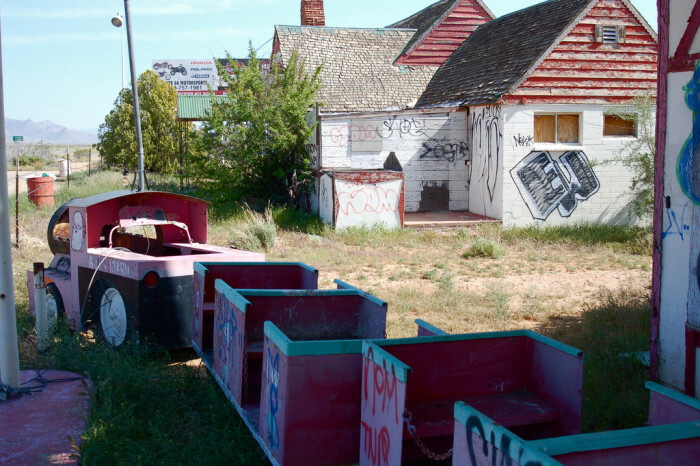 Once the vision of a Christmas-themed tourist attraction and potential resort, Santa Claus still stands today along Route 93 in graffiti-covered ruins. 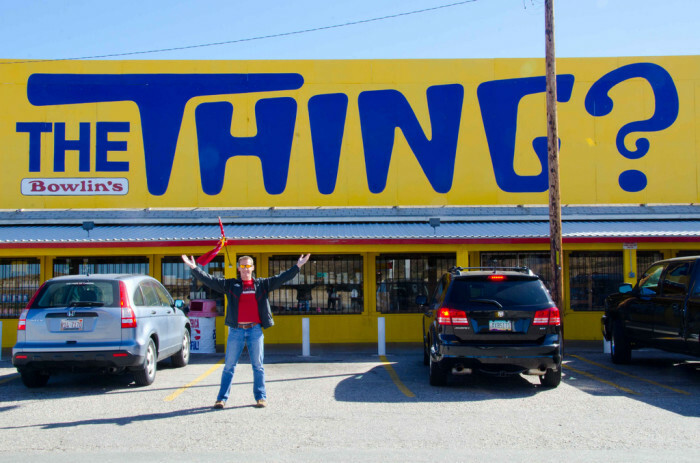 An original tourist trap, this location can be found after dozens of bright yellow signs scattered along Interstate 10 designed to spark curiosity in travelers. Is it worth stopping to see just what this “thing” is? That’s up to you (I won’t reveal what it is) but at the very least, you may want to get a quick photo in front of a sign like this person above. 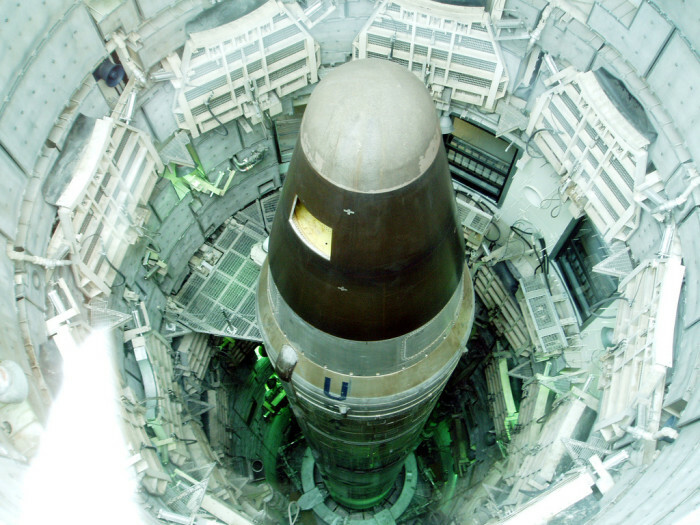 A former Cold War missile silo, this is the last remaining of the Titan II missile sites, so getting a glimpse of what life was like for the workers who stayed in these facilities is pretty unusual. 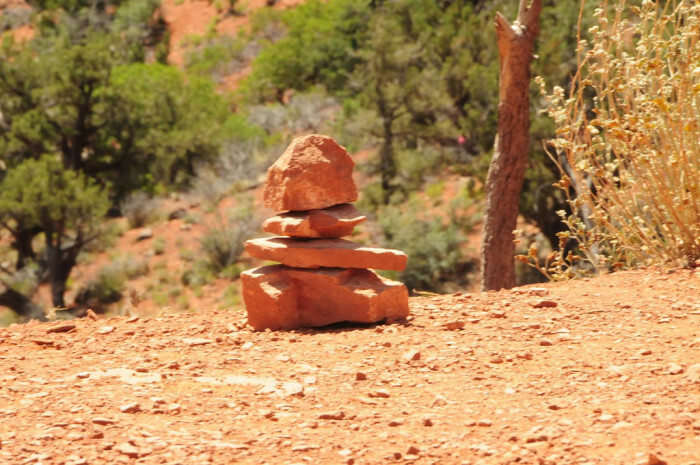 Something that draws the New Agers, straggling hippies and other alternative spiritual folks to Arizona are the vortexes in Sedona. Some people will claim the vortexes are just a hoax, but others claim to have experienced unreal energy coming from several areas in Sedona. If you have any spots you have encountered we would love to know, please leave your comments below.